Another search term that someone used and ended up on my blog… wonder what specifically there are looking for. I love intelligence gathering work myself. When I was at Wells Fargo one of my primary duties was to gather intelligence on others money transfer companies that compete with the bank for remittance market share. I was really, really good at it and had a lot of fun doing it. I’ve used that passion to help several clients since then. Helping them look outside their business to start incorporating competitive intelligence into their analytics process. To the best of my knowledge, no one has put together an Intelligence Gathering Process training for companies in the Philippines. It sounds like something that would be really interesting to do. Survey time to see how much interest I can generate. So happy to announce that the 2nd Edition of Putting Your Data to Work is now available. To my knowledge this is the first analytics book written specifically for the Filipino. Empowering analysts and advocating for the use of data and analysis in decision-making is what I am most passionate about! E-mail us analytics@dmaiph.com to get a copy for 700 PHP plus shipping. One of the things I have been working on is helping a top school here in the Philippines develop a strategy to infuse more HR Analytics into their Organizational Behavior and Human Resource Management Classes. This effort is a precursor to a class specifically on HR Analytics, which is to the best of my knowledge, the first ever here in the Philippines. So as I put more thought into the syllabus of each class, it occurred to me that a good way to approach analytics is to introduce it slowly over the length of the 3 classes, which follow in a natural progression. Starting with the OB class, we can focus on how to identify data in an organization that will be useful to a HR team to measure things over time. To help really get at causality of human behavior on a wide scale, you need to have the data to understand context. In the HR Management class, we will spend more time working on the inventory part of analytics, which is to bring the data into an analysis and reporting structure that helps us discover patterns and trends based on that data. Then the HR Analytics class, we will then proceed on how to integrate the data and the analysis into tool like a business dashboard. At a high level, the students will gain an appreciation for the wealth of data HR can access in an organization and how the analysis and reporting of this data can lead to more data-driven decision making. Its great to have an understanding of why people leave a job, and to have good reporting on attrition patterns, but you also need to have the ability to enable strategic action based on data and not just observation or simple metrics. That is what our students will be able to do that will separate them from other Psychology grads entering the workforce. They will be ready day one to be HR Analysts who can bring a much needed data centric skills set to a very people driven discipline. If you are a school administrator or professor and need to get more analytics in your course work so your students are better prepared for the analytics centric jobs, connect with me. I can show you how. I even have a textbook you can use. My new book Putting Your Data to Work is ideal for the nascent analytics learner. Analytics Education – Facilitating a mastery of the fundamentals of analytics is what DMAIPH does best. All across the world, companies are scrambling to hire analytics talent to optimize the big data they have in their businesses. We can empower students and their instructors with the knowledge they need to prepare for careers in analytics. 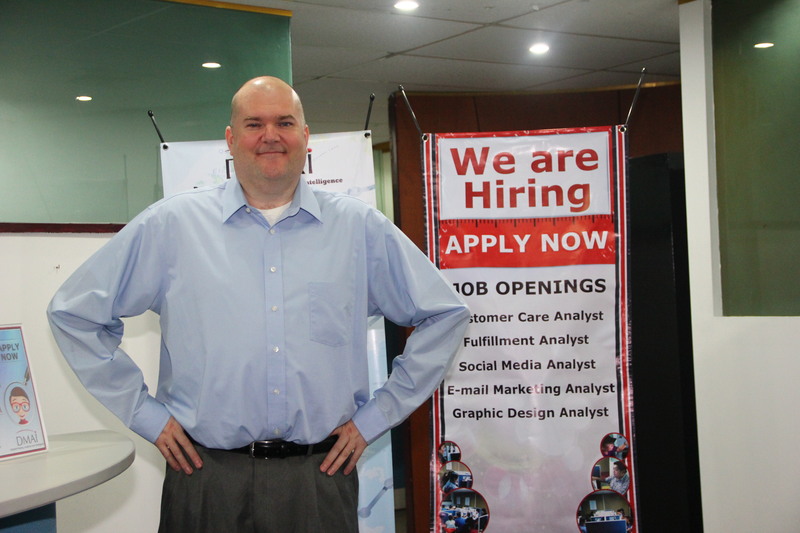 Contact DMAIPH now at analytics@dmaiph.com or connect with me directly so we can set a guest lecturer date, On-the-Job Training experience or other analytics education solution specifically tailored to your needs. When you work with DMAIPH, you will be working with people who care because they constantly study, learn and evolve. No one wants to be stuck in a place where every day is the same and you never get a sense of what you are part of. Here’s one reason why Going DMAIPH is different! Been thinking a lot about how to motivate people. Sometimes I think we might have it all wrong. We get so busy doing things that we forget to say thanks and we avoid saying you can do better. Per Wikipedia, “Reinforcement, a key concept of behaviorism, is the primary process that shapes and controls behavior, and occurs in two ways, “positive” and “negative”. Both types of reinforcement strengthen behavior, or increase the probability of a behavior reoccurring; the difference is in whether the reinforcing event is something applied (positive reinforcement) or something removed or avoided (negative reinforcement). Punishment is the application of an aversive stimulus/event (positive punishment or punishment by contingent stimulation) or the removal of a desirable stimulus (negative punishment or punishment by contingent withdrawal). So I know that is nosebleed inducing for some of you, so let’s break it down. Say we have a challenge in our business with attendance. So we can try to find ways to reinforce good behavior using positives like perfect attendance rewards or offering additional incentives to come to work like food and allowances. But we also have to find ways to limit the negative behavior through coaching, warnings and potentially termination. If you dont have a clearly defined model of rewarding both positive and negative behavior then team members will get lost and generally gravitate towards negative behavior. Having a clear and consistent attendance policy that is upheld from top to the bottom in an organization will give you that balance of behavior. DMAIPH specializes in helping businesses in both the U.S. and the Philippines optimize processes and procedures including how to positively influence team member behavior.